MOUNTAIN VIEW, CA (May 10, 2012) – Kiwi Crate, the creativity company for kids growing up in the digital age, today launched the Kiwi Crate Celebration Shop, an ecommerce storefront offering gift crates and party pack "mini-crates" for party activities or favors. 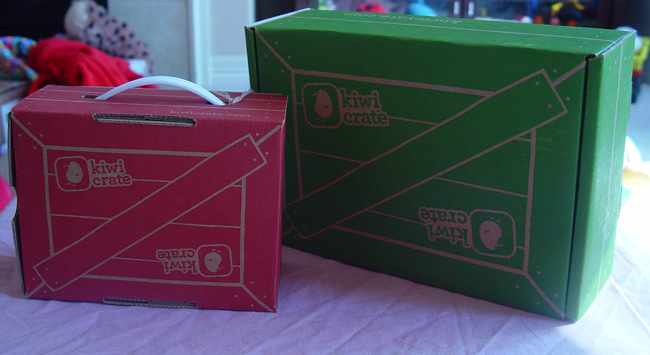 Kiwi Crate, which launched in October 2011, is a subscription service that delivers new hands-on projects each month to kids ages 3-7. To enhance that offering, Kiwi Crate has introduced a Celebration Shop for customers who wish to purchase gift crates and party packs for birthdays and other celebrations. The new gift crates, Space Hero and Fairy Fun, each contain three projects designed to encourage creativity and extended play. Gift crates offer parents, grandparents, aunts, uncles and friends the ability to give a gift that not only is fun and engaging, but enriching and educational as well. Gift crates are priced at $19.95 each.